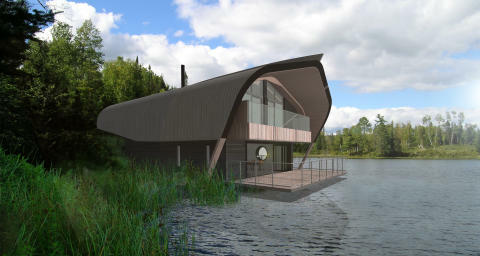 Center Parcs has today released the design for a brand-new style of accommodation being introduced next year. Waterside Lodges will give families who stay in this accommodation stunning lake views, as well as a prime location in the heart of the 400-acre forest. The three Waterside Lodges will start to be built this autumn and are due for completion in summer 2018. 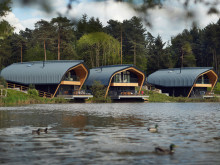 Nestled in the heart of Elveden Forest, these new lodges will complement the landscape and connect families with surrounding nature. Known for being a prime destination for nature spotting, guests will soon have a greater opportunity to get up close and personal with the aquatic wildlife on their doorstep, with the stunning lake-side position. Inside the Waterside Lodges, a nautical-meets-Scandi design flows through the interior. With three bedrooms (two double and one single) upstairs, complete with en-suites and two rooms boasting rustic balconies overlooking the water. Downstairs a fully-equipped kitchen sits alongside an open-plan living space with dining table, corner sofa and flat screen TV, while wide bi-fold doors give guests access to a luxurious outdoor hot tub. 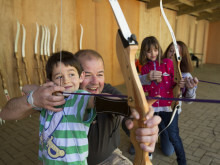 With more than 90% of guests spending time on or around the lake during their short break, it is expected that guests will embrace the opportunity to stay right on the edge of the lake, amongst the woodland and water wildlife. In addition to the three Waterside Lodges, Elveden Forest will have 51 brand new Waterfront Apartments, which are also due to be completed in the summer. These newly built apartments will offer a mix of self-catering and standard rooms whilst nearby, nine new three-bedroom Executive Lodges will also be nestled between the lake and the Village Square. Waterside Lodges are available to book now for short breaks from summer 2018 onwards. 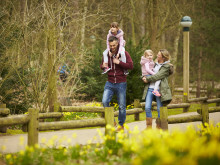 As the leader in the UK family short break market, Center Parcs regularly achieves average annual occupancy in excess of 97%.